Agriculture is the key industry of Atsuma. Around programs including a main program that you can experience the entire agriculture itself as "the rice field owner", you can experience the rural culture and climate. 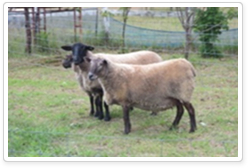 The programs are plenty that can not be experienced in a typical farm tourist. It is recommended for those who are unsatisfied for harvest and taste only. Why not to add these as plus alpha on the usual tours. You will actually try “planting” to “reaping” receiving advices from a rice farmer. 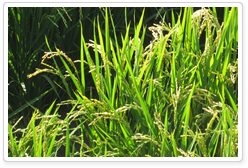 A provided field has been used for growing one of Hokkaido brand rice, “TANTO-MAI” and is a fertile ground. The owner grows “OBOROZUKI”, one of popular varieties with low-pesticide there. Please enjoy this luxury tour including "taste", “safety” and "nature" as one with your friends and family. 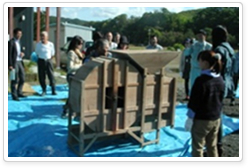 Atsuma town has kept old threshing machine in good condition and it can still be used. You will be able to experience the process of threshing to milling rice using the old farm equipment with the commentary of those who guide. 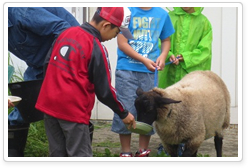 Yamada farm offers shearing sheep to tourists once a year as the premium event. Shiitake mushroom cultivation by wood is popular in Atsuma. 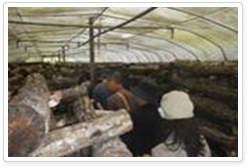 You will learn to make bed logs for mushroom, how to manage and the harvest. Your bed logs can be taken to home. 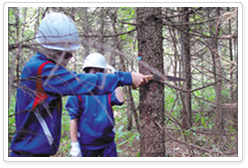 The rich forests spread in Atsuma and pruning is necessary in order to produce a good quality wood. 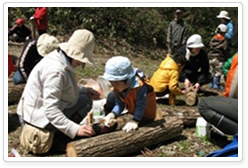 It is a program to learn about forest creation from the professional along with the pruning. Shiitake cultivation by wood is popular in Atsuma. Visit the shiitake growers and they will directly explain how to cultivate delicious Shiitake. Atsuma has high quality trees in forests, which is about 70% of the area in this town. 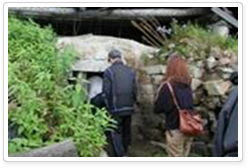 Charcoal production has been popular from old times and the charcoal kiln still remains. You will observe the kiln with the commentary by coal production.